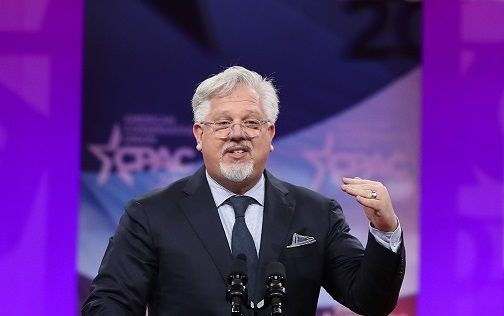 Glenn Beck has suggested that it would be the “end of the country as we know it” if Donald Trump does not win at the 2020 election because of the rise of radicalism and socialism in the Democratic Party. Speaking to Fox News’s Sean Hannity, the conservative radio host and author said he had discussed the threat posed by the changing face of the party for the past year, which is now being highlighted by the election of Congresswomen such as Alexandria Ocasio-Cortez and Ilhan Omar, and the support of the Green New Deal. Beck also spoke about a conversation he had with former Democratic vice presidential nominee Joe Lieberman, who has also been critical of the new faces at the party. Beck said the Democrats who live across the street from him who he gets along with “don’t believe in infanticide, they don’t believe in destroying the free market system, they don’t believe in all of the stuff that’s coming out of the mouths of these radicals."